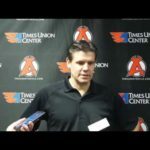 ALBANY, NY — On the same day the New Jersey Devils signed a three-year lease with Albany County and Times Union Center, the team announced that Doug Hine had been named the A-Devils Chief Revenue Officer. 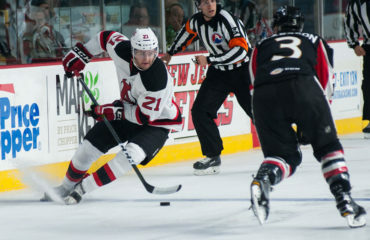 No stranger to the Devils, Hine has been with the organization since 2008. 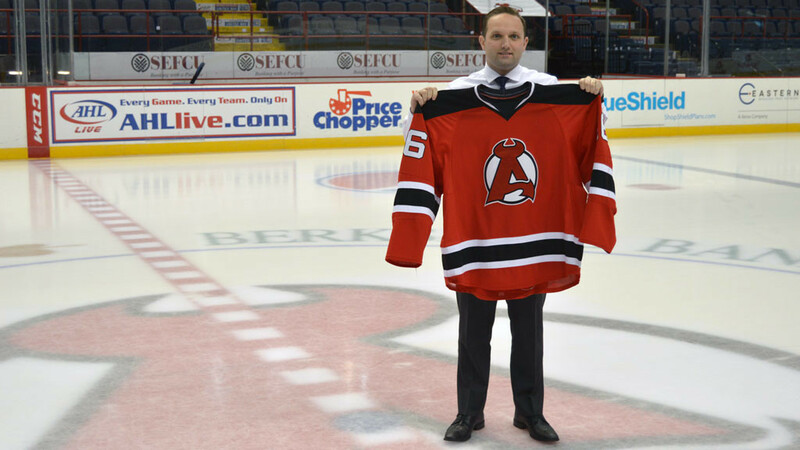 The Freehold, NJ native has worked his way up the Devils’ ranks, beginning with an entry-level sales position. He moved on to an account executive and then to premium sales. Most recently, he served as the Senior Manager of Business Development. Hine is a graduate of West Chester University in PA where he earned a Liberal Arts degree with a minor in coaching and education. 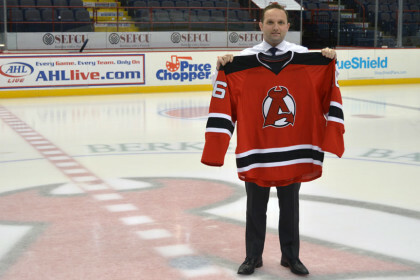 You are the new Chief Revenue Office of the Albany Devils, but you still have responsibilities with the NHL club? My plan is to be here as much as possible, but also using the resources and meetings with New Jersey as well. We’ve got some great managers/directors here that are able to execute as well. I will be here about 80% of the time and there is no way I am missing a playoff game, that’s for sure. Will it be hard not being in New Jersey every day? 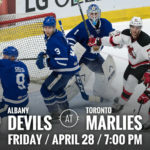 We are still the Devils’ family here in Albany; that is very important to me. I didn’t want to feel like I was leaving. We are able to bring resources from New Jersey to Albany and Albany back to New Jersey. We want to make sure we have full resources from our marketing team, our sales team, our trainers, everything that we could do to be successful on both ends of the business. What are your goals as CRO? We all have the same goal and the goal is to win a cup, but we also want to make sure that our fans are coming first and we’re providing a great experience. We can’t control what happens on the ice, but we can guarantee that every time you come to the arena, you have a great time. We want to provide an unforgettable experience by engaging the fans with anything that we have going on that night. What do you envision for Albany’s Executive Office? It is important to have fun, do what you love and to build a positive culture with high accountability. To have great expectations and a work-hard-play-hard environment. Coach Hynes has a similar approach with the players in New Jersey. We want to have high standards and hold our staff accountable and perform at a high level. This is something I love to do. I love seeing people being successful. I love people having smiles on their face. I love people that their main goal is to really connect with fans, engage every fan, to be able to connect with them on a different level and create those moments that they’ll be talking about for years. 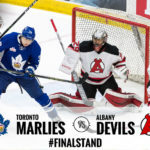 Will there be more opportunity with Albany and New Jersey fans? This is going to be an area where we can really develop. 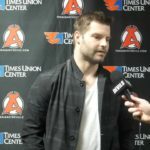 We want to incorporate New Jersey Devils benefits for our Season Ticket Holders. It’s something that we want to continue to do throughout the season and not just for a little bit. We are going to be working hand-in-hand with New Jersey and enhancing our benefits and really taking it to another level for the season. What benefits are you talking about? Doing more cross promotions with New Jersey. Maybe potential preseason games and having our fans go down there and New Jersey fans come up here. Increasing the player engagement. It’s great to have a guy like Tom Fitzgerald, who works hand in hand with Ray Shero. 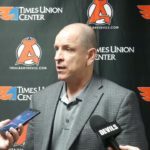 Ray has really opened our eyes in New Jersey to a lot of different player engagement, not only within the fans, but with the staff and the community. That is something that we are going to continue to do this year. Lastly, do you play hockey? I do not play hockey. I can skate, but I do not play hockey.